These casual games must have been played in Mar. 1888, since von der Lasa left for Europe on 31 Mar. 1888, and the Columbia Chess Chronicle of 14 Apr. 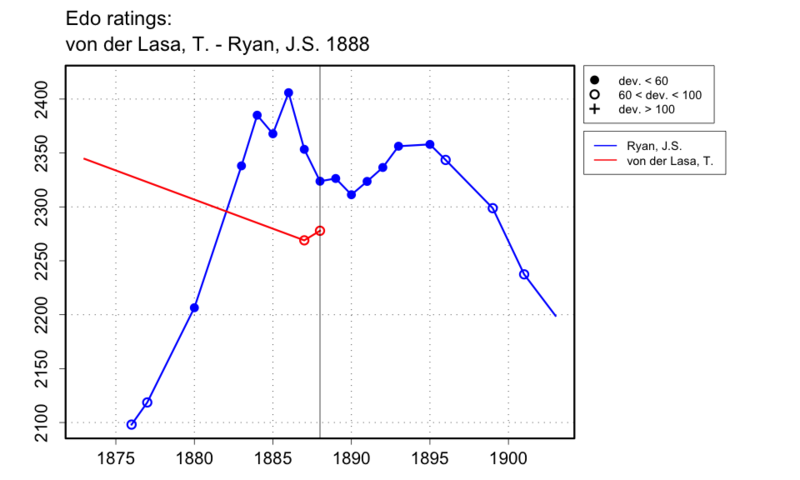 1888 says that von der Lasa played Ryan the 'week before last'.